This painting of “Old Faithful” at Yellowstone National Park by Eugene Kingman is owned by the National Park Service. 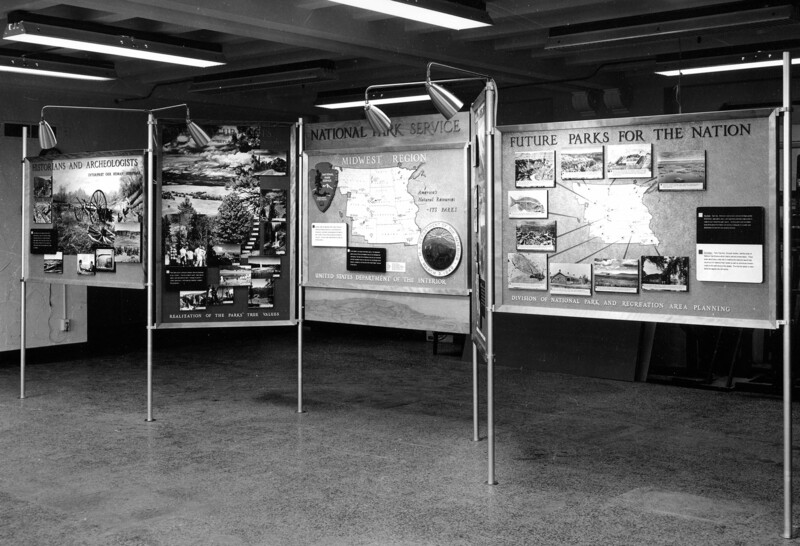 It was displayed in the Secretary of Interior, Ken Salizar’s office at the Department of Interior in Washington, D.C. during the 1990s. Eugene Kingman painted this cornfield in 1961 near Omaha, Nebraska. 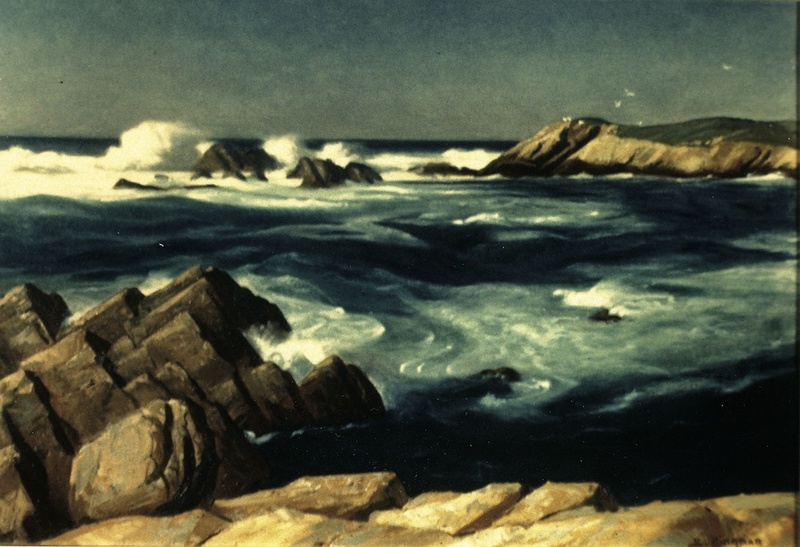 It was displayed at the Audubon Artists’ 19th Annual Exhibition in New York City, and also chosen for the cover of the Northwestern Bell Telephone Company’s 1970 calendar. This painting by Eugene Kingman is the last of a series of seven Yosemite paintings, commissioned by National Geographic and featured in the March 1937 issue of the magazine, to illustrate a fascinating geographical article by Wallace W. Atwood. 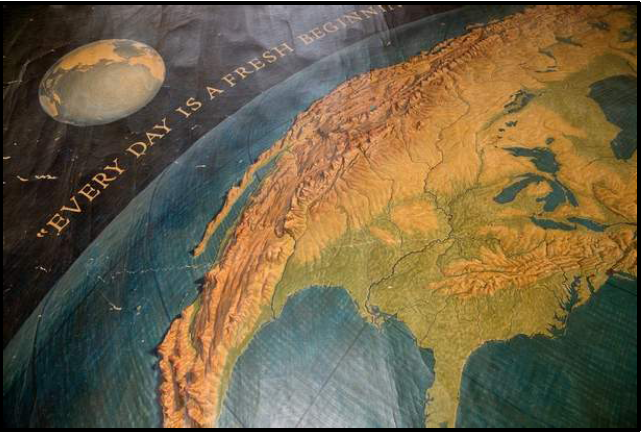 Eugene Kingman won a major commission, sponsored by the Section of Painting and Sculpture of the U.S. Treasury Department during the 1930s, to create spectacular murals at three U.S. Post Offices, which are still on display in Kemmerer, WY, East Providence, RI, and Hyattsville, MD. This mural is one of 3 murals exhibited in the Kemmerer Post Office. 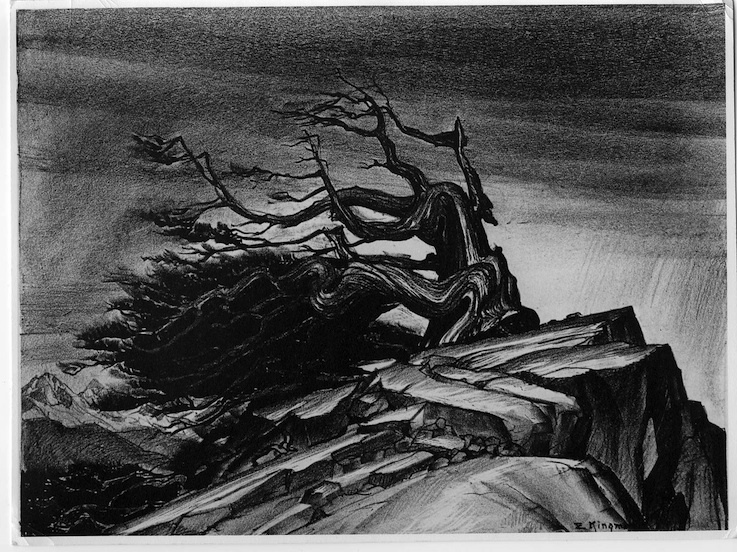 Having been an instructor of lithography and mural painting at the Rhode Island School of Design, Eugene Kingman created this lithograph in Colorado during one of his trips to various National Parks in the West during 1938. In fact, it was in Mesa Verde where he met his wife, Elizabeth Yelm Kingman, an anthropologist and park ranger there! Art and history are inseparable and dependent on each other." Eugene Kingman (1909-1975) was a truly exceptional, amazing artist during the “New Deal” era, as well as a museum director later during his life. The profile Preserving His Legacy describes the life and career of this immensely creative and gifted person. 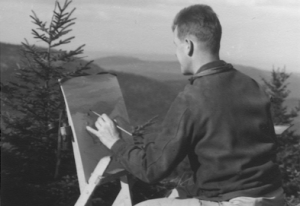 This site is designed to honor Eugene Kingman’s legacy and highly creative artistic gifts. Over time it will be developed to provide a catalog raissoné of the artist’s works. 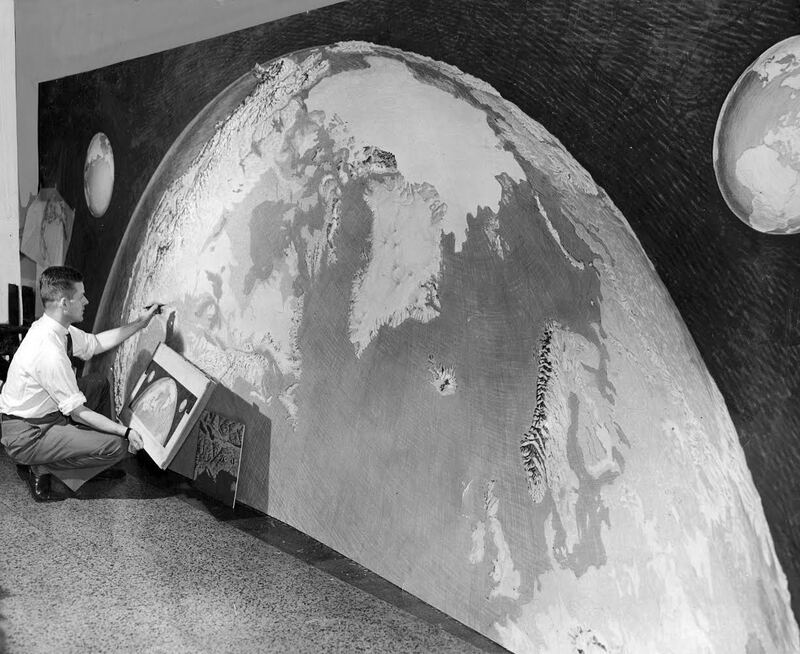 This special mural, which Eugene Kingman painted in 1948, was displayed in the New York Times lobby for over 40 years. It then was donated to the Joslyn Castle Trust in Omaha Nebraska for restoration. During an unveiling ceremony in 2016 this Eugene Kingman/New York Times Mural now has a new permanent home at Omaha’s Public Library. 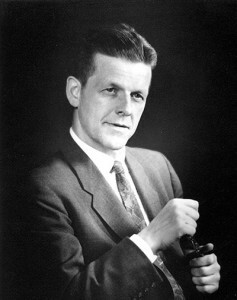 Eugene Kingman moreover won a major commission sponsored by the United States Treasury Art Project during Franklin D. Roosevelt’s New Deal era in the 1930s to create murals, which are still displayed in the main lobby of three U.S. Post Offices in Kemmerer, WY, Hyattsville, MD, and East Providence, RI. Seven National Park Paintings for the 1931 Paris Expo – NPS Symposium Poster – Celebrating the 2016 National Park Service Centennial in Santa Fe, New Mexico. An overview of Kingman’s Nebraska paintings can be found in Kingman’s Nebraska, a collection constituting the celebrated artist’s tribute to the Great Prairie-Plains of Mid 20th Century Nebraska. Also, a fascinating article and 13 images of Eugene Kingman’s oil paintings in this 1937 issue of National Geographic Magazine, featuring both Yosemite and Crater Lake National Parks. 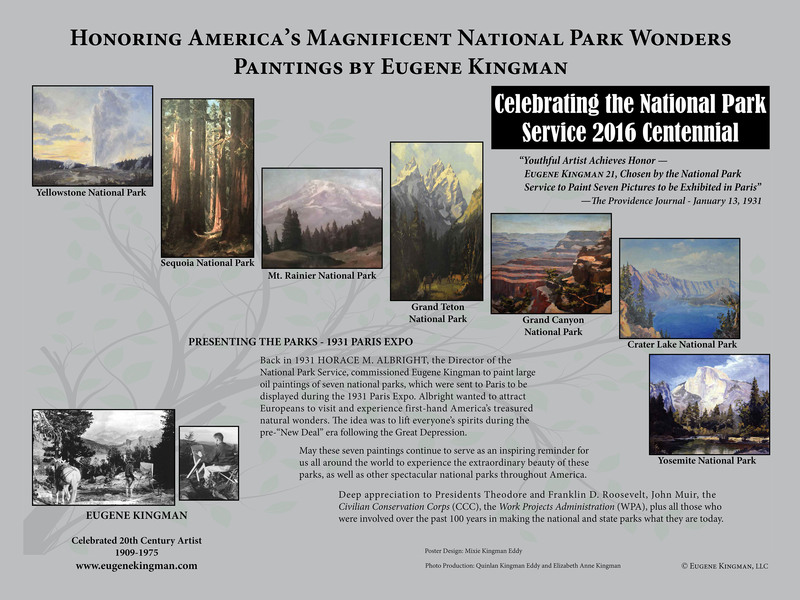 EXTERNAL RESOURCE LINKS for more information related to Eugene Kingman’s artwork. New York Times In House Article: Painted in Omaha, Now Back Home.